HomeBook 4 is out RIGHT NOW! 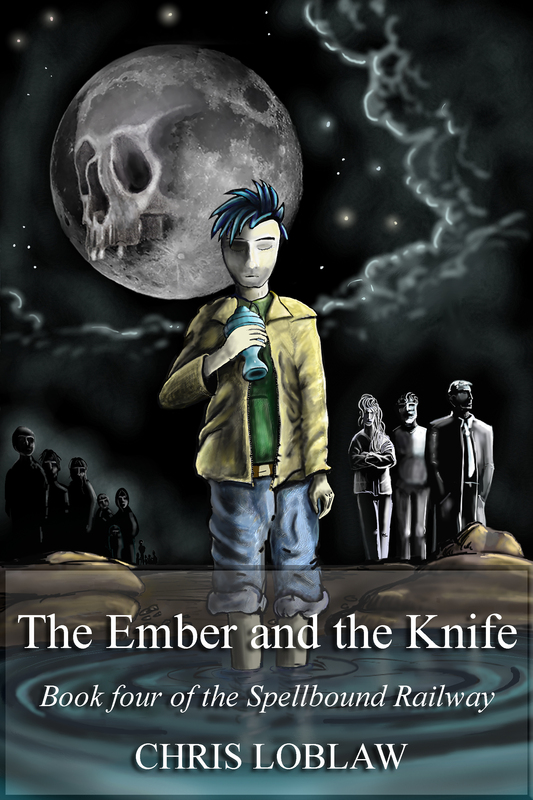 The Ember and the Knife, book 4 of the Spellbound Railway series, is now available! It’s story of magic and loss, the pains of dealing with adult life, and being caught up in something much bigger than you are. The saddest sort of homecoming brings Mallory, Kean and Robert back together after 2 years. The three friends have found out that the cruelties of life cannot be wished away or banished by a spell. But as they struggle to reconnect with each other and mend their hurting families, an arcane menace returns, threatening the manyworlds tied together by the Spellbound Railway. “The best one yet!” – Emily G.
“I am really enjoying the books by Chris Loblaw. I think he has a gift. The books are readable, enjoyable and filled with wonderful characters who interact in understandable ways, even if they do have super powers.” – Ljuba G.
“I just got my copy, and the first few chapters are already great!” – Kristen L.